We’re anxious to see how this pans out. Neither of us have grown flowers nor vegetables but yesterday we had a sudden urge to put our green thumbs to work. 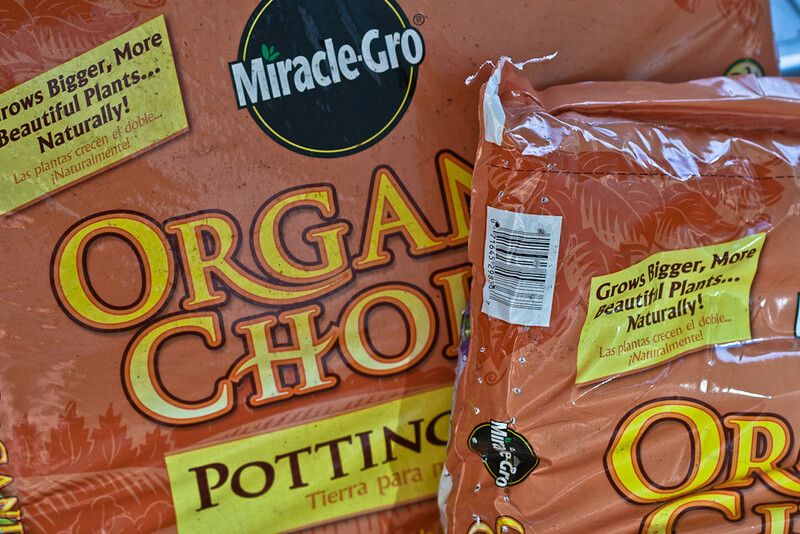 We forged the crowds of busy home-improvers at Home Depot and scoured the Garden Center for some unique flower to plant on the patio. It took some time, but we also managed to find the vegetable seeds. Jordan an I decided on growing spinach and green onions, as we use them often in our meals. We picked out some interesting looking flowers as well. 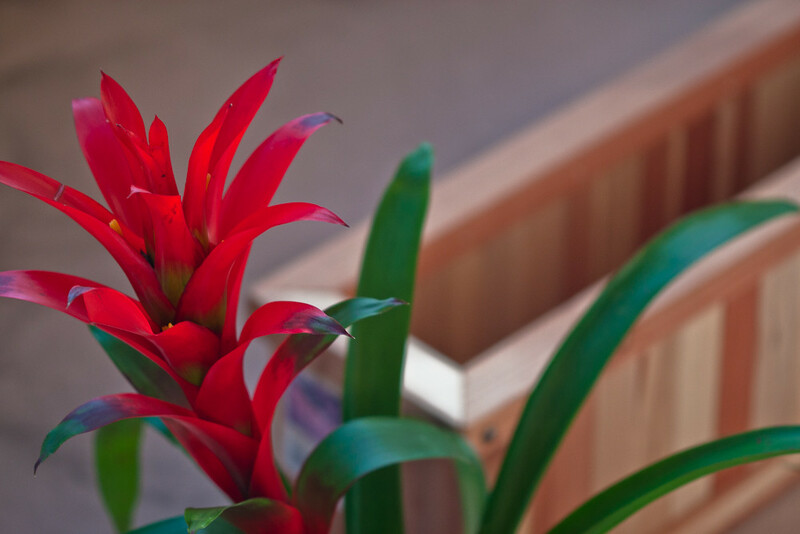 Bromeliads- a type of flower under which there are many, many subcategories, were uniquely colorful and distinct. It looks like the leaves are going to change colors as well as the ends of the current bloom as it continues to grow. We shall see! 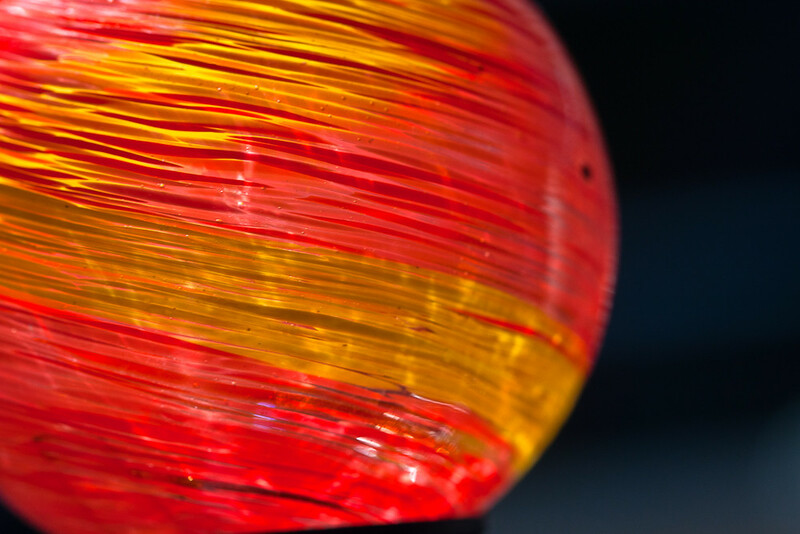 This one is particularly cool as it looks like a brightly colored fan. If you look closely at the bottom, left side, you can see the beginning of a purple flower starting to bloom. 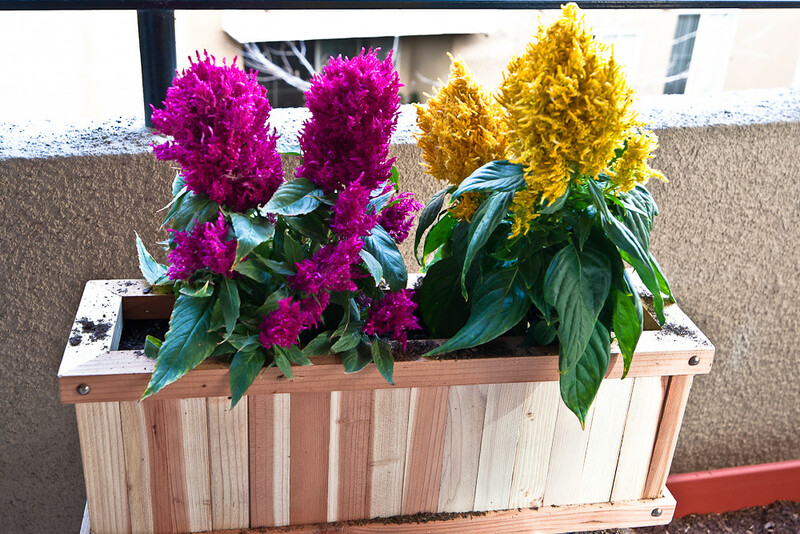 The Celosia plant is one we had never seen before… the bright colors and feathery bushels really brighten up the patio. 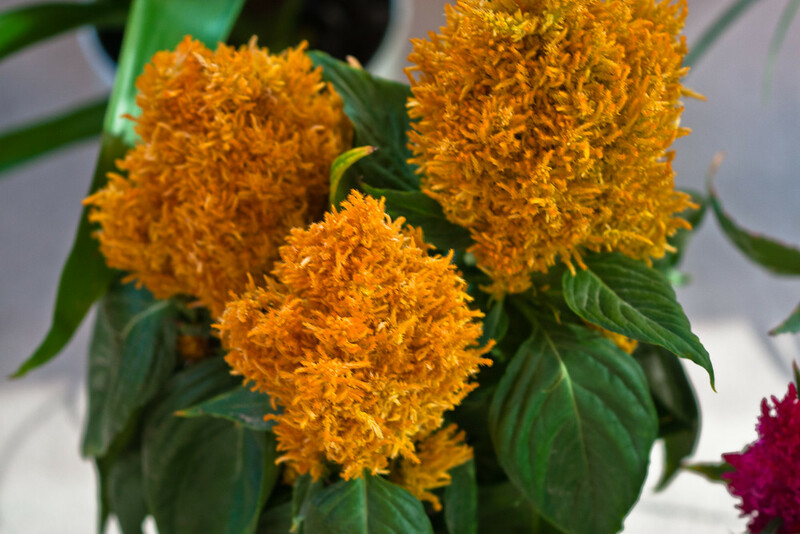 The National Garden Bureau mentioned on their website that the Celosia plant has been used in antiquity as a remedy for blood diseases and urinary tract infections…definitely not why we picked them out, but it’s a cool tid-bit of trivia. Quite a diverse plant! We also learned that Celosia- translated from Greek, means “burning.” As I look at them in the sun right now, I can definitely say they were aptly named! 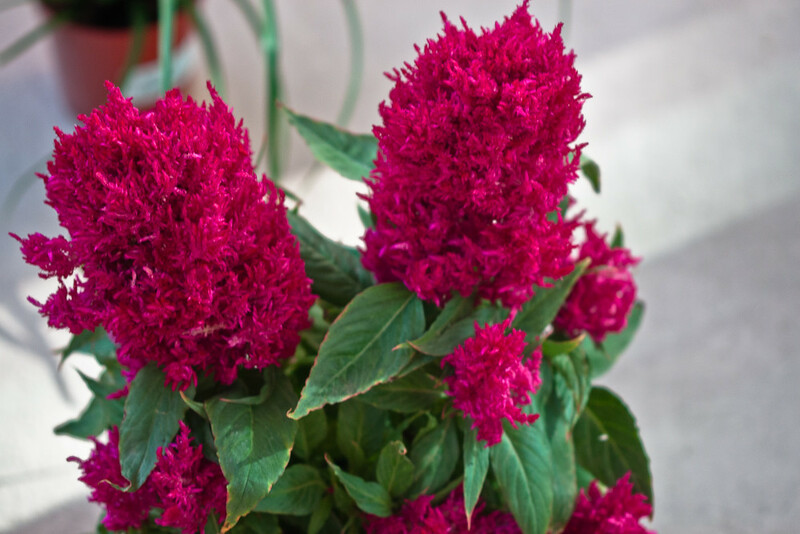 The Victorian age, however, deemed the Celosia plant a flower of humor and warmth. 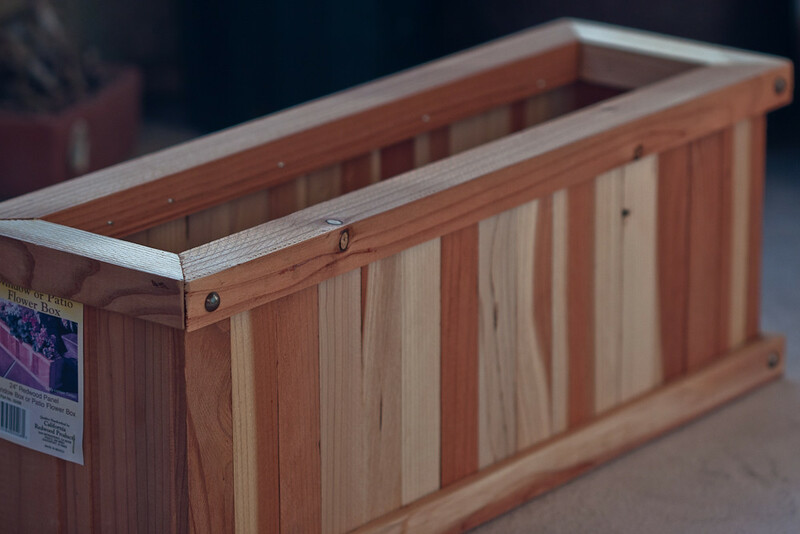 The Celosia plants will reside in this long flower box. Much better than the plastic containers they offered. Yeah… we actually didn’t even use these. But our hands definitely got dirty! 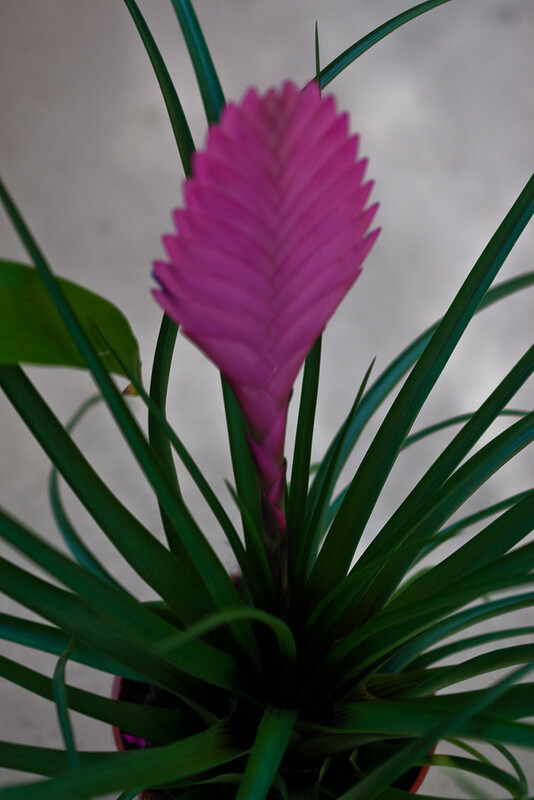 This is the top of an in-plant solar patio light, also doubling as a support for the heavy Bromeliad. Great colors, right? 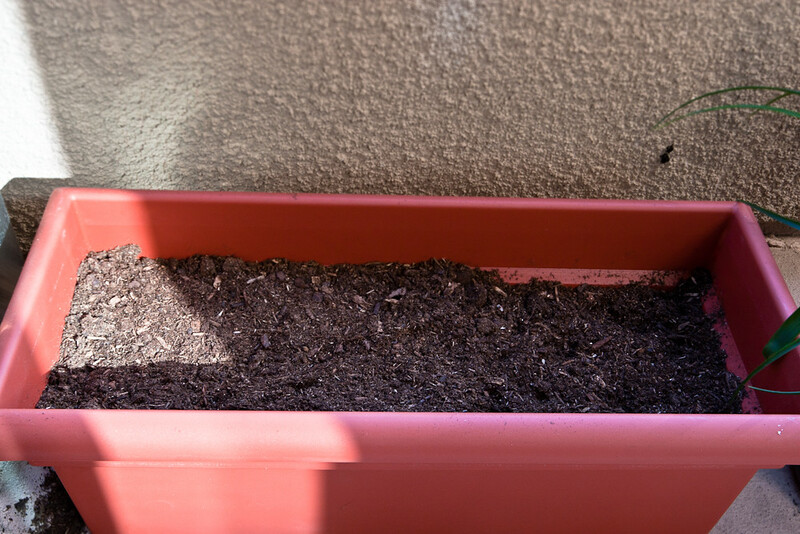 The soon-to-be scallions and spinach…in about 6 weeks. 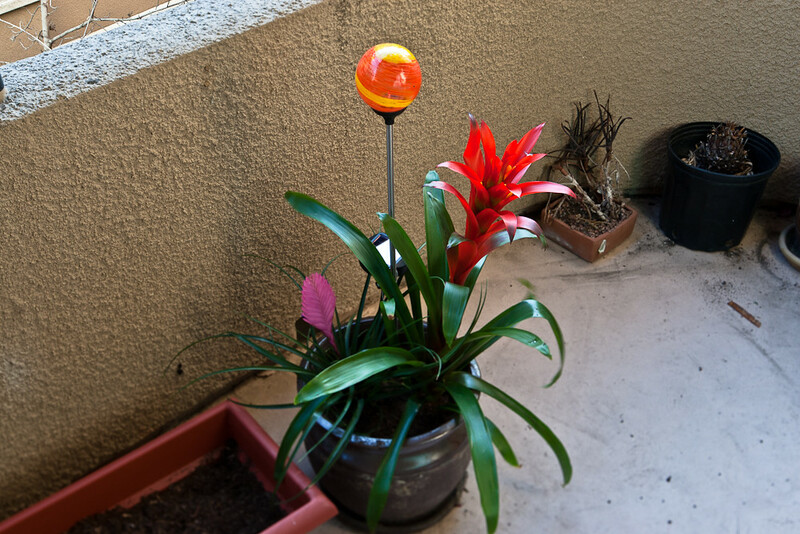 The Bromeliads and the solar-powered light/support. We’ll be posting quite frequently on the progress of our veggies and flowers, we’ve even added a category on our blog dedicated to gardening! If you’d like to see more of the photos that didn’t make it to the blog post, check out the full set of photos on Jordan’s Flickr! hey, nice food blog…really like it and added to my bookmarks. Keep up with the good work you two. Hello there, I recently discovered your website through GoogleNews, and been coming back regularly. You have a excellent site! Would you mind if I link to it from my Website at this page? 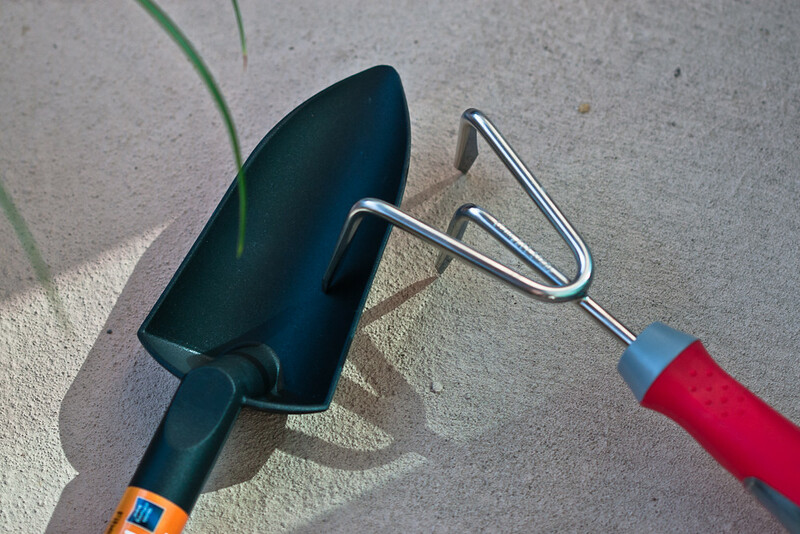 Hi Debra, Sure, we’d love to have you place our link on Vegetable Gardening Tips!